Although I'd grown up just a few blocks away on Bassett Place, I was a stranger to Dave that evening. 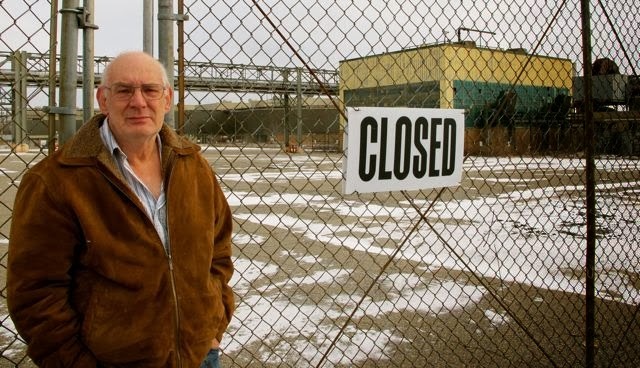 I'd returned to Flint after living in San Francisco for more than a decade. I was a journalist working on a story and pursuing an ill-conceived plan to reconnect with my hometown by purchasing a house. I sensed that Dave thought I was a little nuts, but he was a kind, welcoming, trusting person with a great sense of humor. We were different in many ways, but we had a lot in common. We'd both grown up in the Catholic school system. I worked bingo with my mom in the St. Michael's cafeteria where Dave and Judy were married. We both loved Luigi's pizza. I became friends with the Starrs. 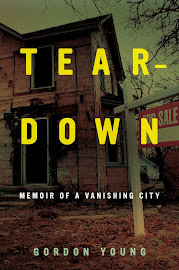 They endured my endless visits and phone calls while I completed Teardown: Memoir of a Vanishing City. Dave even showed me how to make bullets and took me to a local shooting range. I managed to cut my hand on the gun, smear blood all over myself, and have an embarrassing anxiety attack, but Dave took it all in stride. After we left the range, he spread our targets out on the seat between us to reveal that most of the shots were close to the center, including mine. "You did good," he said, before offering me a Life Saver and launching into a great story about the time he shot an elephant gun and almost dislocated his shoulder. Sorry to hear of the death of your friend Gordon, our sympathies are with you. Let me guess, the semi automatic pistol recoiled and ripped up the top of your thumb on your grip hand. I have seem this many times. and was a victim myself, it happens to everyone,.Seems the gunmakers could machine those edges a little bit and take the knife edge off them.Relax. Yup, that's how it happened. The slide came back and sliced my thumb. Sorry about the loss of your friend, Gordon. One of the first things they taught at the Detroit Sportsmen's Congress course was about that problem with the semiautomatic slicing your hand. They were constantly admonishing people to not grip it the wrong way on the range. Since I knew almost nothing about handguns before the course, I wasn't offended when they corrected me. When we chose a handgun for practice, I always chose the revolver for that very reason. I needed my thumb badly the next day! It's a dangerous world, so I don't fault or discourage any law abiding good citizen from learning to defend himself against murder or great bodily harm, but before even shooting one at a range, take a good course to learn about both handguns and the laws regulating them. Citizens with CPLs are held to a higher legal standards than even the general population. For example, a CPL can be suspended for a BAC above .02, compared to .08 for driving a car. Laws are very stringent for carrying a pistol, and there is a lot to it.